This year has seen many a debate on pineapple topping on the pizza. From Iceland’s President vehemently saying that the pineapple on pizza should be banned, to celebrity chef Gordon Ramsay concurring with the idea. Well, a Canadian man who is widely credited with inventing the pineapple-topped pizza died at the age of 83. According to an obituary by his family, Sam Panopoulos had been in hospital in London, Ontario, when he died suddenly on Thursday (June 8). Panopoulos was born in Greece and emigrated to Canada in 1954. 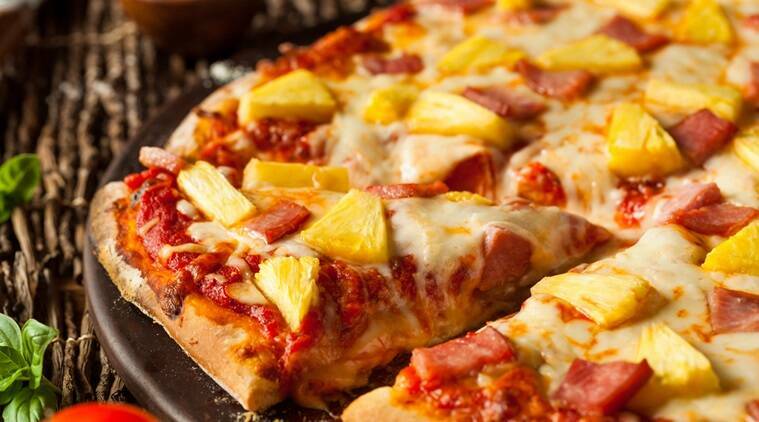 He told numerous news media that he made his first ‘Hawaiian’ pizza in 1962 at the Satellite Restaurant in Chatham, Ontario, after wondering if canned pineapple might make a tasty topping. His claim wasn’t undisputed, as there are claims that the pizza could have been invented in Australia, while some say its origin is in a German dish with ham, cheese and pineapple on toast. But Canadian Prime Minister Justin Trudeau posted a tweet in support of Panopoulos’ claim by referring to the dish “a delicious southwestern Ontario creation”. He was responding to a joking suggestion by Iceland’s President Gudni Johannesson that pineapple pizzas should be banned. One of Panopoulos’ sons described his father as a dedicated family man who “wasn’t looking to get famous”. Bill Panopoulos said he didn’t want to comment further, adding “the Hawaiian pizza story and his immigrant story were his to tell”. Panopoulos’ funeral is set for Monday.